Some students struggle in school and need more support than is typically found in the traditional classroom, but that extra support isn't always easy to come by. For college students, typically the institution will require that the student provide documentation and request accommodations in a timely manner, and most will have the resources available to meet the students' needs. However, the same isn't always true at secondary schools or middle/elementary schools. For schools who don't have robust academic support programs, students may be forced into special education classrooms or they may be required to stumble along without accommodations in the traditional classroom. However, there are options for students struggling in school, and one of those options is a private school. Unlike public schools, parochial and private schools do not have to grant students with learning disabilities accommodations. This ruling falls under section 504 of the Rehabilitation Act and is a direct result of the fact that private schools don't receive public funding. These private schools also have a pass when it comes to the need to follow the regulations of the Individuals with Disabilities Act (IDEA), which states that public schools must grant students with disabilities a free appropriate public education. In addition, unlike public schools, private schools do not offer students with disabilities IEPs, or Individual Educational Plans. Because they do not have to adhere to these federal laws governing the education of students with disabilities, private schools vary in the support they grant to students with learning and other disabilities. 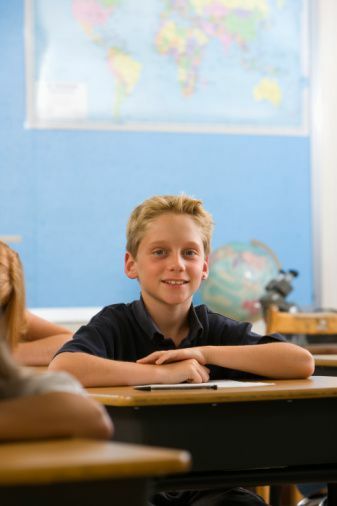 While years ago, private schools often said that they did not accept students with learning issues, today, most schools accept students who have diagnosed learning issues, such as dyslexia and ADHD, and other issues such as autistic spectrum disorder, recognizing that these issues are actually common, even among very bright students. There are even a number of private schools who cater to the needs of students with learning differences. Some private schools for learning differences were founded specifically for students whose learning challenges don't allow them to enter the mainstream classroom. The goal is often to support students and teach them to understand their issues and develop coping mechanisms that allow them to enter the mainstream classroom, but some students remain in these specialized schools for their entire high school careers. In addition, many private schools have psychologists and learning specialists on staff who can help students with learning issues organize their work and refine their study skills. As such, a number of mainstream private schools even offer academic support program, ranging from basic tutoring to more comprehensive academic support curriculums that provide students with a personal educational expert to help them better learn how they learn and understand the challenges they have. While tutoring is common, some schools go beyond that and offer organizational structure, time management skill development, study tips, and even provide advice on working with teachers, classmates and handling workloads. If you haven't already, make sure to have your child evaluated by a licensed professional. You may be able to have the evaluation conducted by the local school board, or you may ask your private school for the names of private evaluators. The evaluation should document the nature of your child's disabilities and the required or suggested accommodations. Remember, that while private schools aren't required to grant accommodations, many offer basic, reasonable accommodations, such as extended time on tests, for students with documented learning issues. Yes, even if you're just applying to the school, you can request meetings with the academic specialists at the school. Assuming you have the testing results available, you may set up appointments. You would likely coordinate these meetings through the admission office, and they can often be combined with a school visit or sometimes even an Open House, if you provide advance notice. This allows both you and the school to assess whether or not your child's needs can be properly met by the school. Once you're accepted, you should schedule a time to meet with your child's teachers and learning specialist or psychologist to begin developing a plan for success. You can discuss the results of the evaluation, the proper accommodations for your child and what this means in terms of your child's schedule. Here are more strategies about how to advocate for your child with learning issues. Article edited by Stacy Jagodowski.